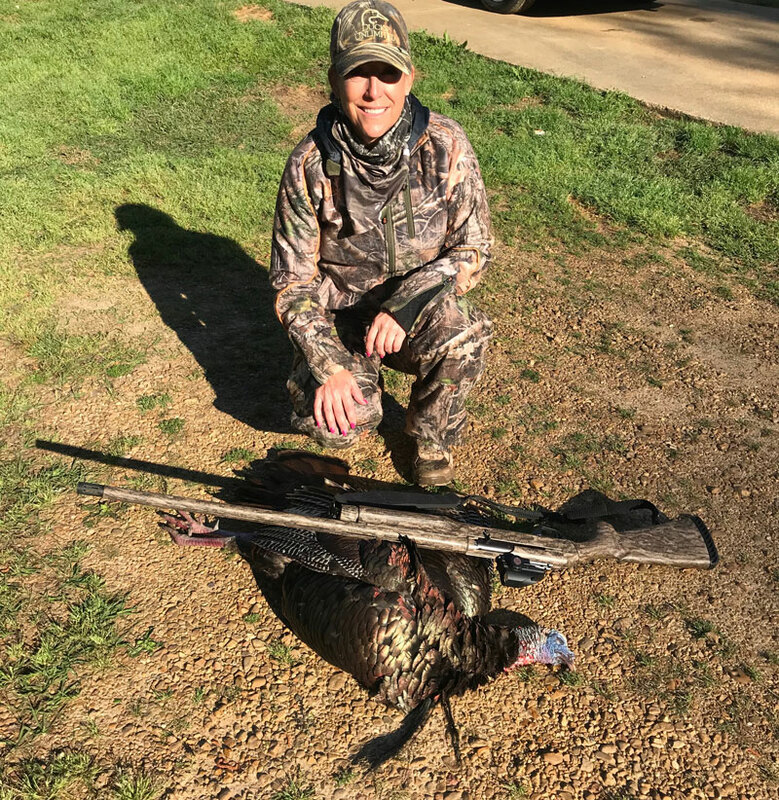 Lori Kennedy got her first gobbler ever on the ground at 8:10 a.m. just a few days after the season opener. Lori Kennedy of Crystal Springs, an avid deer hunter, saw plenty of turkeys in her food plot last fall while sitting in her hunting blind. She’s had the “itch” to kill a turkey but really didn’t know how to go about it. “I know people that turkey hunt and have girlfriends that turkey hunt, but I’d never been before,” she said. 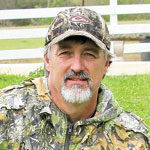 After weekly services at Harmony Church in Copiah County, Kennedy struck up a conversation with Clint Gerald, of Wesson, a veteran turkey hunter. She mentioned that she’d never taken a gobbler but would like to. Gerald volunteered to lend a hand. What a hand that was. Within 10 days, under Gerald’s tutelage, Kennedy had tagged two gobblers, the biggest of which sported two beards 10¾ and 8½ inches. A few days after the season opener, they were back on Kennedy’s hunting grounds. They set out decoys at 20 yards and settled into the blind. At daylight, a tom sounded off a couple hundred yards behind them. They listened for a few minutes and decided to go to the turkey, but a hen walked into the bottom, leaving them pinned down while the tom was letting it rip. The hen finally left, and Gerald called before they made a move, getting a response from a second gobbler over their left shoulders. Peering out of a mesh-covered window, they saw him at 40 yards — where he stayed, strutting and gobbling for 30 minutes. He finally moved across the field, ignored the decoys and stayed just out of range, crossing a creek. Gerald’s aggressive calls finally got him interested, as he double- and tripled-gobbled, crossing back over the creek. Kennedy killed the tom, which had a 9-inch beard and sharp, 1¼-inch spurs. 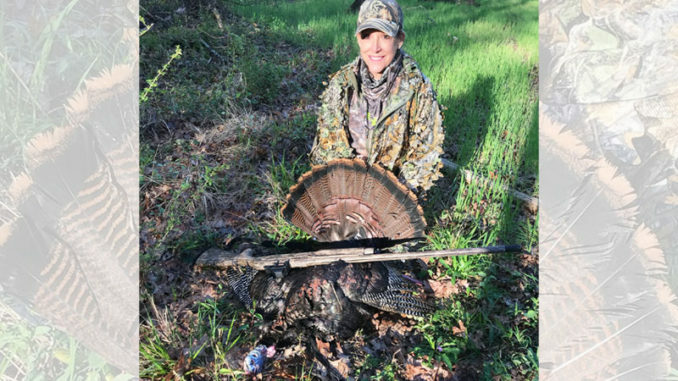 Sporting a thick 9-inch beard and 1 ¼-inch spurs, Lori Kennedy bags a nice gobbler on her first ever turkey hunt. A few days later, Kennedy asked Gerald if he had time for another hunt. He told her to get into the woods early and listen, and when she heard more gobbling, they’d go again. That wound up being April 1, and they started in the same place, just listening, well before first light. Gerald didn’t plan on them getting in the blind this time; he wanted Kennedy to be out in the woods with the birds. 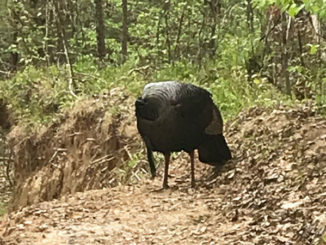 A gobbler sounded off early, and they headed in his direction, setting up a decoy on a small rise in a long, straight logging trail, 20 yards from their spot. The tom saw the decoy, headed their way, but he was just over the crest of a hill, out of sight, gobbling the whole time. 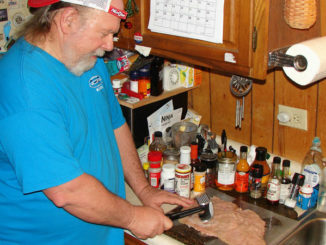 Gerald decided to quit calling, hoping that curiosity will get the better of the gobbler. Suddenly, they heard something behind them walking. “As soon as I turn my head to see if it’s a deer or something, a different big gobbler spits and drums right in my ear — he’s only 10 feet behind us,” said Gerald, noting that Kennedy had her gun pointed towards the first big tom that was still just out of sight and still hammering. After 20 minutes, the tom behind them moves to the left; he has a paintbrush beard they estimate at 10 inches. 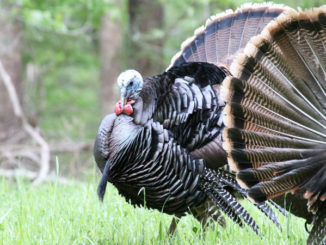 With both gobblers nearly in sight and shooting range, Kennedy looked up the logging trail, where a third gobbler appeared strutting and walking straight to the decoy. When he passed the decoy, he dropped out of his strut and gave Kennedy a clear shot; she dropped him with a 2 ¾-inch load of TSS. This bird had two beards — 10¾ and 8½ inches, and ¾-inch spurs. 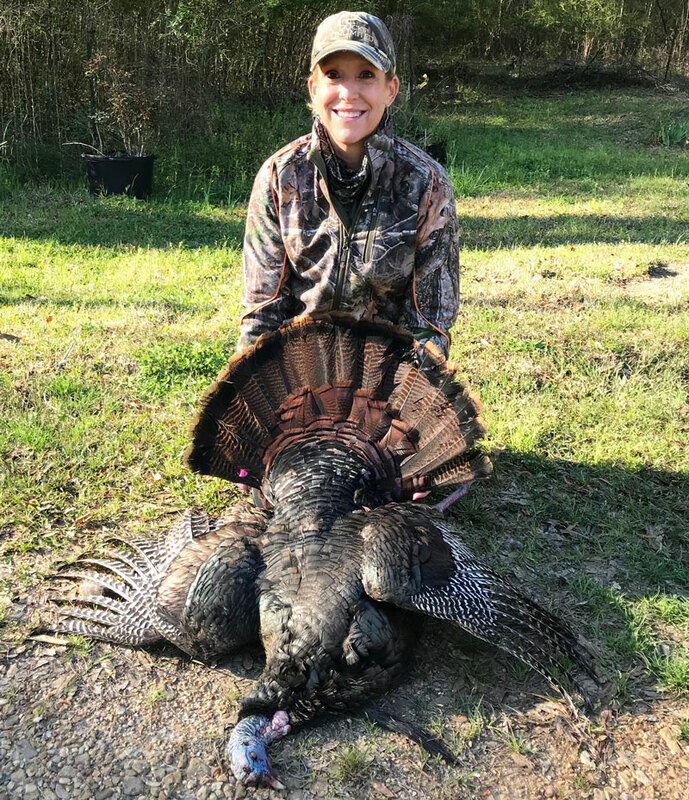 Lori Kennedy bags a real trophy double-beard gobbler. The longest beard is a paintbrush and 10 ¾ inches long and the second beard is 8 ½ inches.